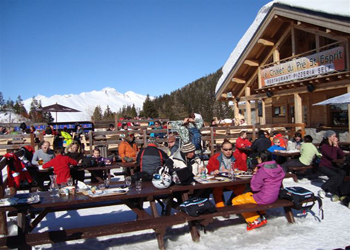 The restaurant is accessible to skiers, pedestrians and cars, making it possible to get there from all the villages of Les Arcs. 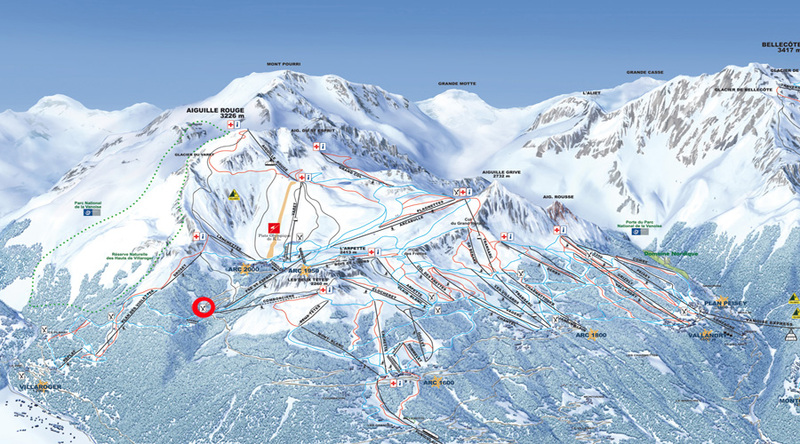 It is located at the place called Le Pré St-Esprit next to the chair lifts of Pré St-Esprit and Comborcières. 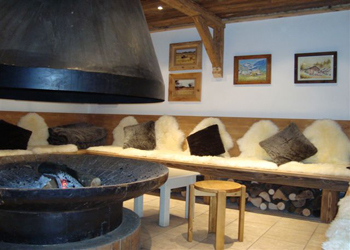 The Chalet du Pré St-Esprit has a self-service (Le Schuss) for the sliding fans who want to relax without wasting time, and a table service with fireplace and wood stove for those who wish to enjoy this tasting moment (La Cheminéa). 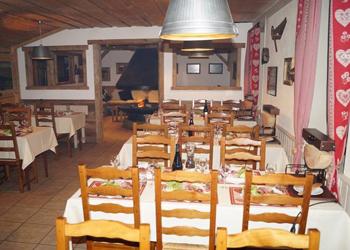 The team of professionals who warmly welcome you will invite you to take a seat on a huge terrace ideally located near two chairlifts with a resplendent view on the chain of Mont Blanc. The days of good weather, nothing more pleasant than to spend your late afternoon before returning to the different villages of Les Arcs. 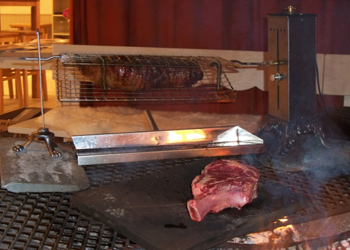 Inside, the restaurant offers two rooms with fireplace and stove, with a capacity of 140 seats. You are sure to have a good time enjoying quality traditional cuisine. In the afternoon, enjoy waffles, pancakes or homemade pastries. The establishment welcomes groups, seminars and family celebrations. Around the fireplace, the cozy atmosphere is very pleasant. After an aperitif, a cocktail or a hot drink by the fire, it is difficult to leave this friendly place. In the evening, a kitchen at the fireplace with prime rib on slice, leg and many other dishes of a neat map fill the fans of good food. The cuisine and hospitality, without fail, are the assurance of a delicious moment.